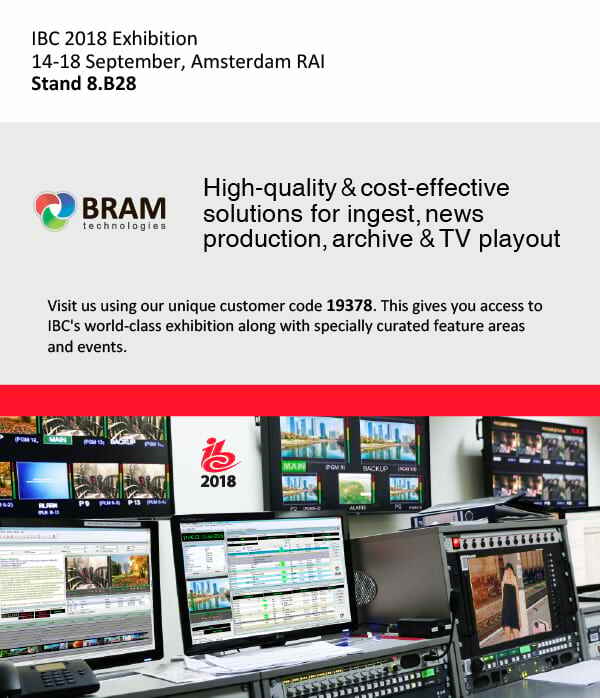 The preparations for IBC Exhibition are getting close to the end. This exhibition traditionally takes place in Amsterdam and this year it is going to open the doors to visitors from 14 to 18 September. Our company invites partners and dealers to meet at the exhibition venue where we will take part in the collective stand, supporting by the Russian Export Centre. You will find main Russian developers, manufacturers and system integrators at Hall 8.B28. Our capabilities will combine for creating the Broadcast flight studio for multi-camera live HD production. This mobile video system is based on the equipment produced in Russia is flexible, reliable, portable, easy to setup and operate. NewsHouse, high-technology system for news production and playout. Maximum reliability provides our own Azimuth video servers.